In 2003, this book introduced the assertion-evidence approach. Chapter 4 makes a strong case for adopting this approach, as opposed to following PowerPoint;s defaults. 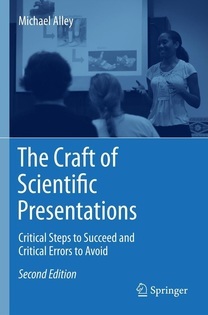 This book discusses the most effective designs of presentation slides for teachers to use when instructing students. To that end, the book provides many assertion-evidence examples. This book provides many assertion-evidence examples and discusses how to incorporate the approach into companies that follow PowerPoint's defaults. This book is the first technical communication textbook to advocate the assertion-evidence approach (pp. 429-433).